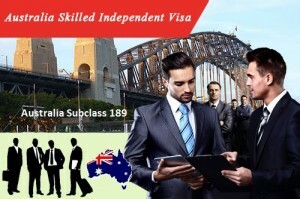 Australia Skilled Independent Visa – Australia is not only considered to be developed nation but it also known to be one of the wealthiest nation in the world. An Australian Skilled independent Visa holder can both live as well as work permanently anywhere in Australia. The individual in order to lodge the valid application for this Australian subclass 189 visa, they are required to submit the Expression of Interest through the SkillSelect. They can do this in or outside Australia. Should nominate an occupation which does matches individuals skills as well as the qualification on the relevant skilled occupation list. Should meet both health as well as character requirements. Once the individuals have receive a positive skills assessment. They are required to submit an Expression of interest through skill select. Once they have been issued an invitation to Apply, they can continue to the DIBP stage of application. They can submit your final, complete application to be approved by DIBP so your visa can be granted. Thanks you so much for useful information. Am really interested to move to Canada. How long can I remain to come to Australia after my Australia Skilled Independent Visa is issued?